Do You Require A Liftgate For Residential Delivery? 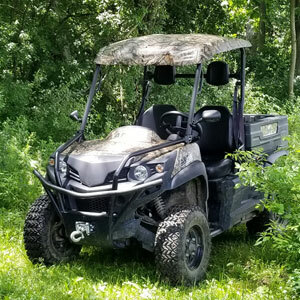 The Royall UTV gets you through the toughest trails and the biggest jobs every time! With smooth independent suspension, a powerful 22hp motor, and true on demand all wheel drive, its quite possibly the best automatic electric 4x4 vehicle of all time! The Royall Electric Utility Vehicle comes unassembled, its easy to put together in an afternoon.